What’s the Good News for Creation? 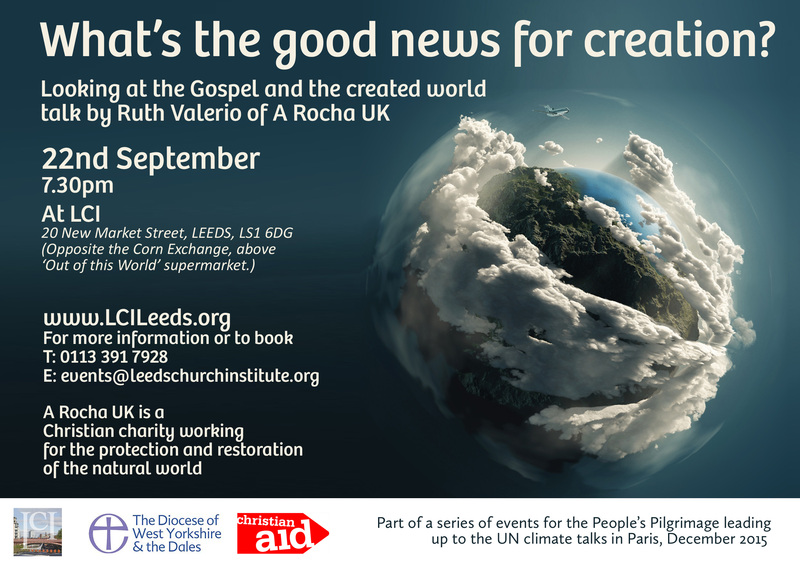 As part of a new series about the environment, Ruth Valerio from the charity ‘A Rocha UK’ will speak about the theological basis for the protection and restoration of the natural world. To book, phone 0113 391 7928 or email events@leedschurchinstitute.org. 4 Responses to What’s the Good News for Creation? Please book me a place too. Looking forward to hearing Ruth. She is an excellent speaker, great theologian full of practical wisdom.